Our national parks are on the cusp of being wired for streaming videos, music downloads and on-line games for visitor-subscribers to extend 4G (4th Generation) coverage into parks such as Yellowstone. These developments will allow visitors – particularly young people – to experience our parks not through their eyes but with noses buried in their electronic devices. 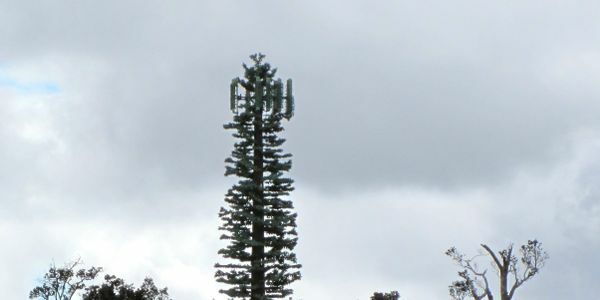 The proliferation of this cyber-infrastructure in our parks means more, ugly cell towers marring vistas, “spill-over” coverage in wilderness and backcountry and the loss of solitude – being disconnected from the electronic tendrils of the modern world. Do not further “Disney-fy” our national parks. Disconnect the devices and reconnect with nature. For more information please visit our website at http://www.peer.org/campaigns/public-lands/cell-tower-invasion/. The National Park Service is considering plans to significantly increase cell and Wi-Fi signals throughout the park system. This will mean more large, ugly cell towers marring park vistas, more “spill-over” coverage in park wilderness and backcountry, and a forfeiture of serenity and the ability to be in places totally unplugged from the modern world. I urge you to direct the National Park Service to reject these plans. Visitors come to national parks in search of serenity and unspoiled vistas, but the proliferation of cell phone towers throughout our park system makes it increasingly difficult to escape the electronic tendrils of society and commune with nature while someone next to you is jabbering on a cell phone, receiving texts, or watching videos. Right now, telecom companies are pushing plans to expand 4G coverage inside parks such as Yellowstone, so that their visiting subscribers can stream movies, download the latest music, and play electronic games in Geyser Basin and other areas of the park. Meanwhile, concessionaires at the National Park Hospitality Association want to offer internet access at many visitor areas, along most roads, and at major sites such as trailheads. These concessionaires seek to deliver interpretive information to visitors – for a fee they will pocket. Finally, the National Park Service itself wants to increase electronic “connectivity” as a means to bolster its “relevance” as part of its upcoming 2016 centennial campaign, complete with a new centennial logo featuring a hashtag. These developments promise to change the character of national parks and how they are experienced. Please do not let this happen on your watch.